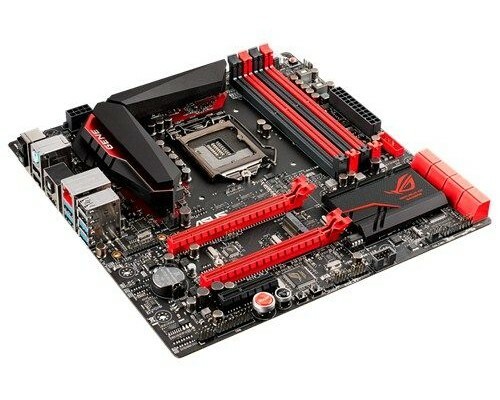 Many users know by ASUS as one of the largest manufacturers of motherboards. Moreover, the range of its products for Intel LGA 1150 platform is enormous. Here are the solutions of different levels. There are low-end models on chipset Intel H81, is a very expensive based on the best chipset Intel Z97. In addition, the products separated into various line. 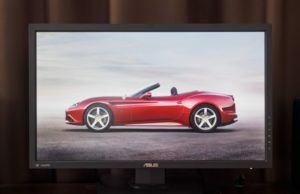 There is a series designed for workstation – WS (WorkStation), there is a certain group of products TUF (The Ultimate Force), where the emphasis is on reliability. Of special note is the legendary ruler ROG (Republic Of Gamers). And we must pay tribute to the engineers at ASUS for their continuous improvement models together with an understanding of the needs of modern computing infrastructure. Today we see a perfect picture of how the company is trying to please everyone and literally cover their attention to each customer.Judge for yourself. In the line of ROG Intel Z97 chipset is represented by as many as five different models. All of them are called Maximus VII, but with different prefixes which indicate a particular product feature. Classic full-length solutions presented three options: Ranger, Hero, Formula. In the past generation, it was a version of Extreme, but there was no Ranger. On this basis, we can talk about the company’s shift in priorities towards the mass consumer. There were also board with the prefix Impact and Gene.They are characterized by a compact form factor (respectively mITX and mATX). This is not to claim that they are something worse than their full-size counterparts. In fact, they are also trying to implement the maximum opportunities in its format. 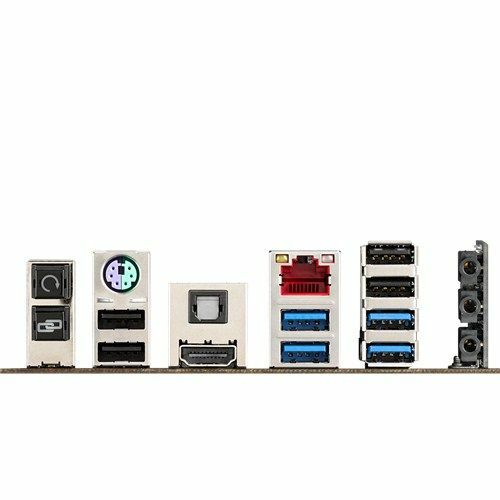 We have already tested the motherboard ASUS Maximus VII Gene, and now I decided to put it on the basis of an updated version of the system unit (and maybe add something to the material). Frankly, I have never previously encountered with the compact models of the series ROG, so it was interesting to see the possibilities of this product not only in terms of functionality, but also acceleration. The first motherboard series Maximus Gene just received the second index, and produced at the forefront at the time the chipset Intel P45. It should be recalled that when the processor is not integrated graphics core itself, it is located in the north bridge. And the model with an index of «P» have been deprived of it, and only then treated discrete graphics. That board ASUS Maximus II Gene observed this pattern. Incidentally, the first “Maximus” was based on the Intel X38, the second and already Intel P45. Here and I get the mess. A little later, the processor giant has allocated a separate line for enthusiasts, and with the arrival of Intel X58 has become much easier to distinguish the series Rampage (X58) and Maximus (P55). Since then it happened without leapfrog. With the release of Intel P55 chipset platform is fully refreshed. There have been very serious changes, and, as if sensing this, the designers have come up with a new ASUS style of the series ROG. The users presented a model in a red and black coloring, which is now recognized correctly. In order not to break the tradition of productive issue cards for enthusiasts, it was decided to use the appropriate chipset without the support of video core that is moved closer to the processor and unsoldering with him on the same substrate. Thus, ASUS Maximus III Gene, too, could only use discrete graphics. By the way, this time I happily sat on the Intel X58, and the chance to try out the range of products the average level of those times I did not have. Soon, a small revolution took place – out of the new platform and processors Sandy Bridge. However, despite its success, the first stage there was a known problem with the controller SATA II. But the disease were exposed mainly chipsets Intel P67 and H67 revision B2. As for motherboard ASUS Maximus IV Gene-Z, it was based on chipset Intel Z68. His advantage is that he was endowed with the functions of acceleration and could work with integrated graphics. So on the ROG series motherboards for the first time have the opportunity to use the built-in video and even overclock it. A little later there was an updated model – ASUS Maximus IV Gene-Z / Gen3, which provided official support for PCI-e bus of the third generation. It is clear that it was necessary to install a processor Ivy Bridge. 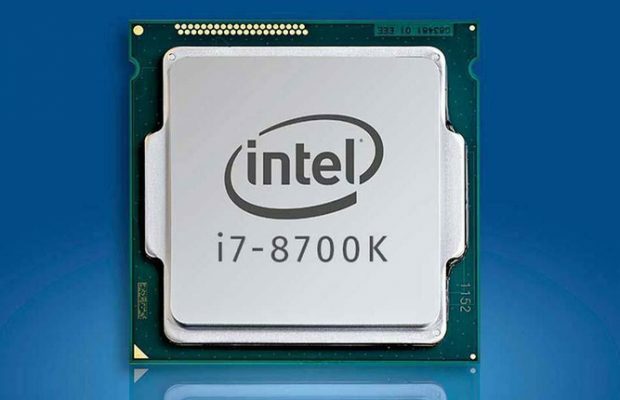 And as it usually happens with the new processor, Intel introduced a new chipset Intel Z77, which has become the flagship model among mid-priced segment, because the top has settled Intel X79. There was a good reason to fill up assortment of devices Maximus Gene another version. In this case, the manufacturer is not simply soldered the new chipset, and set the following index, and considerably reworked device.The design has changed completely. No, the style has remained virtually unchanged, but it is now possible to install the wireless module and drive mSATA. Motherboard ASUS Maximus V Gene lifted functionality to a new level. But before users even how to scalp their new processors Ivy Bridge, how did Haswell. And after its release and updated platform. There is a new CPU socket and, of course, the new chipset Intel Z87. Such an event, ASUS could not ignore the introduced yet another novelty for compact systems – ASUS Maximus VI Gene. Compared to the previous generation of cards changed design of the menu settings BIOS. Now it has become more functional and comfortable. And traditionally series ROG survived a huge section of settings for overclocking. The board comes complete with the device to install the wireless module and the drive type M.2. 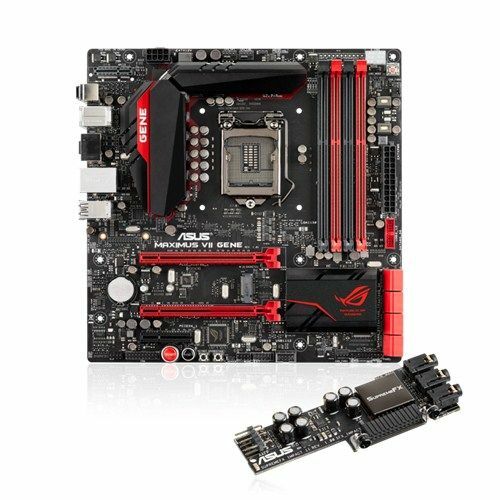 Finally, with the release of Intel Z97 chipset motherboard appeared ASUS Maximus VII Gene. What has changed in addition to the new shape of the radiator and the name of the chipset? Now technology 4-WAY Optimization replaced its heiress – 5-WAY Optimization. It includes features such as TPU, EPU, Digi + Power Control, Fan Expert 3 and Turbo App.In addition, there was a technology LANGuard, which protects the network connector short-circuit and static electricity. Sound system is now on a separate daughter card, and the top came connector mini PCI-e to install the wireless module. And ends all support processor family Broadwell. Perhaps, to a description of the board nothing more to add, as my colleague in his review paid her enough attention. However, it is worth noting a few things. First of all, the board had two independent voltage converter 5 for bus USB. This should increase the stability of these devices and provide them with extra food. Not immediately after the announcement, and after a BIOS update adds support functions NVMe. On board there is no connector SATA Express, but you can use this technology when installing the drive type M.2. Unlike ACHI controller, NVMe allows more efficient to work with solid state drives (SSD). And, of course, the manufacturer haste, without releasing the device support a more modern standard USB 3.1. Therefore, now it is necessary to purchase a separate fee with the corresponding controller that plugs into one of the free expansion slots. Because they are not very much, it is likely it will not be very convenient, and in some cases impossible. A detailed review of the motherboard, its technical characteristics and points BIOS was already in the previous article, so we will not repeat. In the new version, all essentially the same thing, so I suggest just to run through the settings menu, seeing the attached video. 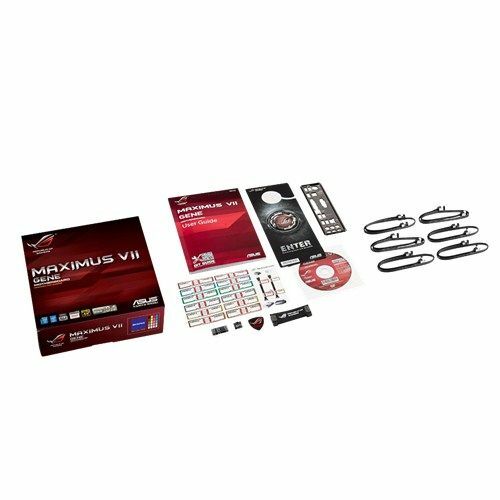 As expected, the differences from the same ASUS Maximus VII Formula virtually no, except for the preset automatic overclocking, which vary on different boards. The audio codec chip presented Realtek ALC1150. Listening was carried out with the help of headphones Sennheiser HD201, Zalman ZM-RS6F and acoustics Microlab PRO 1. In this case, the sound was not completely integrated – or rather, not built. In fact, we face a separate sound card, only with a special connector. In itself, the sound is very good, but it is not always enough volume, as well as all similar solutions on the audio codec Realtek. 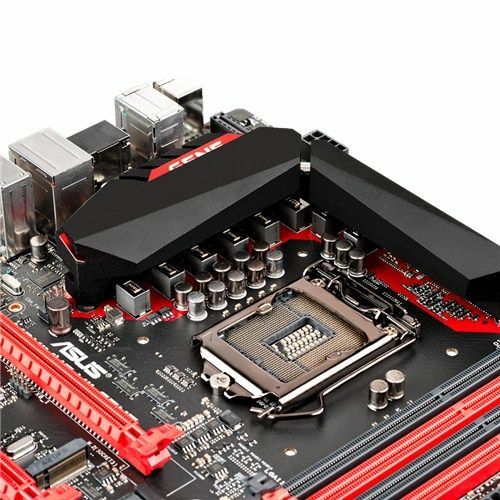 Motherboard ASUS Maximus VII Gene can not be called low-end solution on chipset Intel Z97. But the version of the Impact is even more expensive, so the rule “Less – so cheaper” does not work here. ROG All models are unique and interesting. 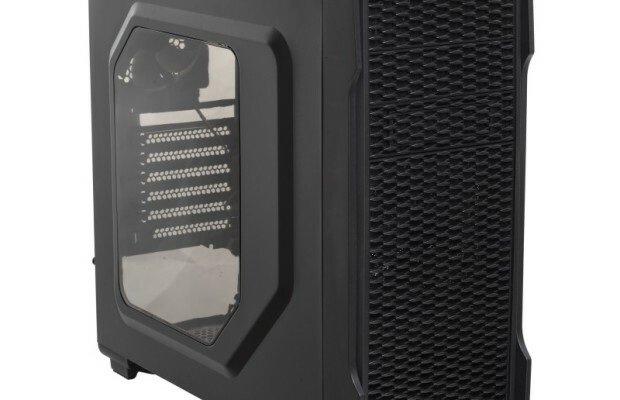 A review of the hero – it’s almost the same Hero or Formula, but only in the format mATX. This is evidenced by a fully equivalent system processor power.Accordingly, in terms of overclocking, it must not give way to full-size products. Like audio codec implementation. Enthusiasts can still remember the days when the company in the supply of ASUS ROG series motherboards offer special sound cards Supreme FX, even if it actually took up one slot PCI-e. In this case, the expansion card is mounted in a special connector and screwed to the PCB, and the audio output jacks directly to the rear panel. When the device is hardly disturbs any cooler or graphics card. Theoretically, nothing prevents the manufacturer to release several models of audio adapters for this connector so that users can choose something different from Realtek ALC1150. A bit disappointed in the lack of complete wireless network adapter. The saddest thing is that the connection is, but the device is not.In my opinion, it was possible to provide some mechanism for setting the usual mini PCI-e card, which would be sufficient to connect only to an antenna, and a set of network adapter without the cost would not be that expensive. And thanks to this would be, and choice of devices. Another disadvantage stems directly from the board size and location of the slots. If you already have a super-cooler type Noctua NH-D15, then definitely there will be problems with the installation of the video card in the top slot PCI-e x16, especially if she has a rear metal plate. Therefore, there can be very useful CBO have closed type. And for testing I had to face the fact that a well-overclocked system needs a spacious and ventilated enclosure. And earlier, when tested in a large motherboards Corsair Graphite 600T any problems with cooling simply does not arise. In the dispersal of the same system in the body AeroCool DS Cube everything starts to heat up decently, and graphics card AMD Radeon R7 270X had to open the wall, otherwise it output artifacts. 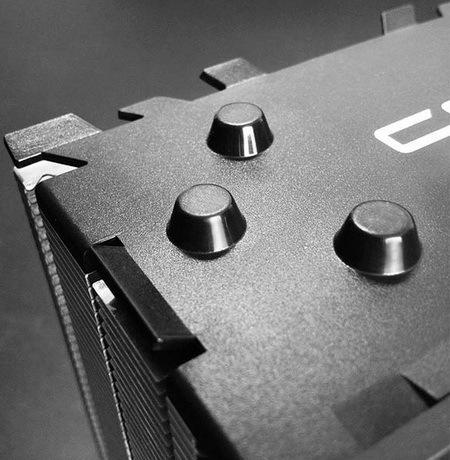 So if you buy a compact solution for acceleration, it is necessary to think about cooling.